Starting at 8:30am PT / 11:30am ET / 3:30pm GST, Microsoft will be taking the stage for an expected two hours to talk about the future of Windows, Xbox, Windows Phone, HoloLens and more. 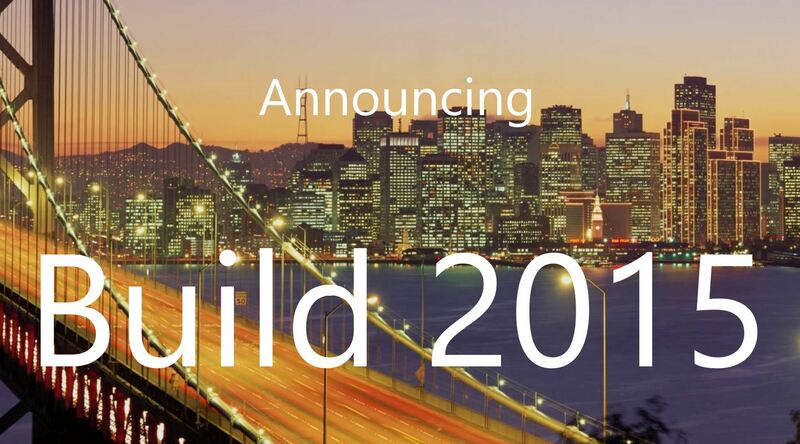 Yes folks, Build 2015 in San Francisco, California is getting ready to kickoff. Microsoft CEO Satya Nadella, Terry Myerson, Joe Belfiore and others are all on hand to show us what they have been working on and what is to come in 2015 and 2016. Microsoft has been talking about its Internet Explorer replacement for months, but current builds of Project Spartan on Windows 10 have been in a bit of a rough state, with much of its promised functionality missing. The same is true for builds on Windows phones. The new browser is now officially dubbed Microsoft Edge. Edge is built as a universal Windows app, meaning it can work across devices. It also has Cortana built-in, which opens up the possibility of Cortana on iOS or Android if an Edge app becomes available on those platforms. Belfiore also briefly showed off Continuum, a feature that will help apps identify which type of device you’re using and then modify the universal Windows app appropriately. He didn’t have hardware to show how it would look on a phone, but did show an on-screen simulation of how it works. The tech giant is announcing previews of a free cross-platform code editor called Visual Studio Code, as well as a new app-monitoring feature within Visual Studio Online called Application Insights. The news, which is being unveiled at Microsoft’s Build conference, is directed toward the soul of Microsoft — developers, those people who produce applications for Microsoft devices and other platforms. All of today’s Visual Studio announcements have a clear theme: allowing for cross-platform development. That points to a broad corporate acknowledgment that some consumers and businesses use devices that don’t run Windows. The Visual Studio 2015 release candidate, which has a go-live license to enable companies to use the software in production, enables cross-platform app development through Apache Cordova, Xamarin, and C++. 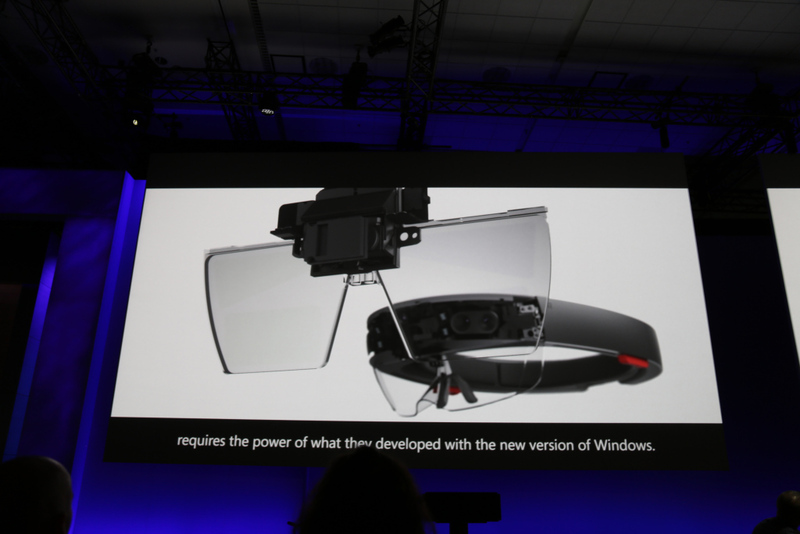 Of course, developers could also use it to make universal apps for devices that run Windows, Somasegar said. 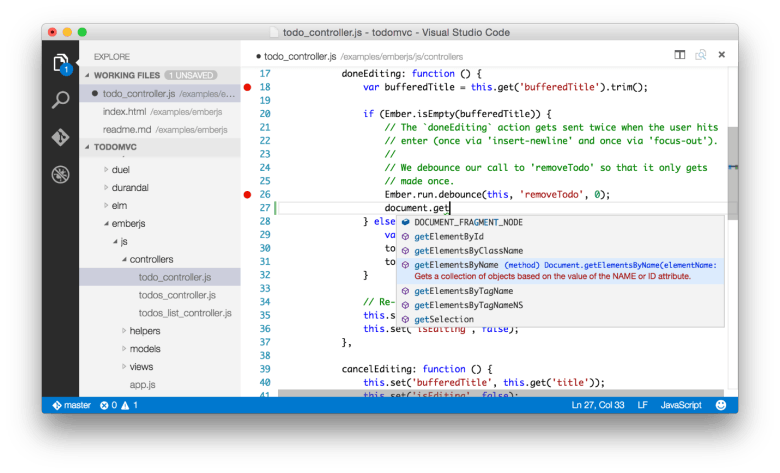 The new Visual Studio Code software is available for Mac OS X, Linux, and Windows. It packs code completion, Git integration, linting, and sophisticated debugging capability. And it works with a wide range of languages. Microsoft’s HoloLens has been in development for a few years, and Microsoft’s Alex Kipman said on stage at Build today that during that time, the hardware has improved by a couple of orders of magnitude due to advances in mobile processing, sensor and computer power and affordability. 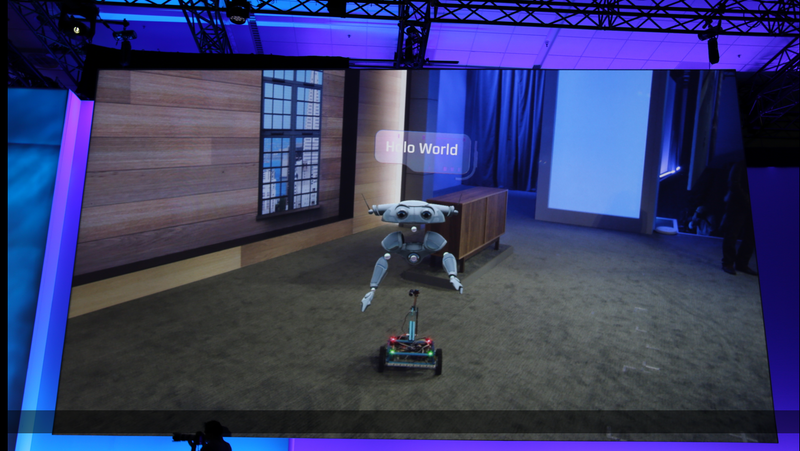 Microsoft’s HoloLens can work with DIY robot kits, for instance, letting you view an advanced 3D animation representation of a robot avatar overlaid on a more basic, real-world wires-and-steel hobbyist machine, as well as access the robot’s software interface control panel at the same time. You therefore have your hardware and software both manipulable in an immersive, integrated real-world environment. Based on the demo, programmers working with robots will be able to easily program things like routes and path in a what-you-see-is-what-you-get style, instead of using the more complex and abstract console-based programming methods that are commonly employed today.